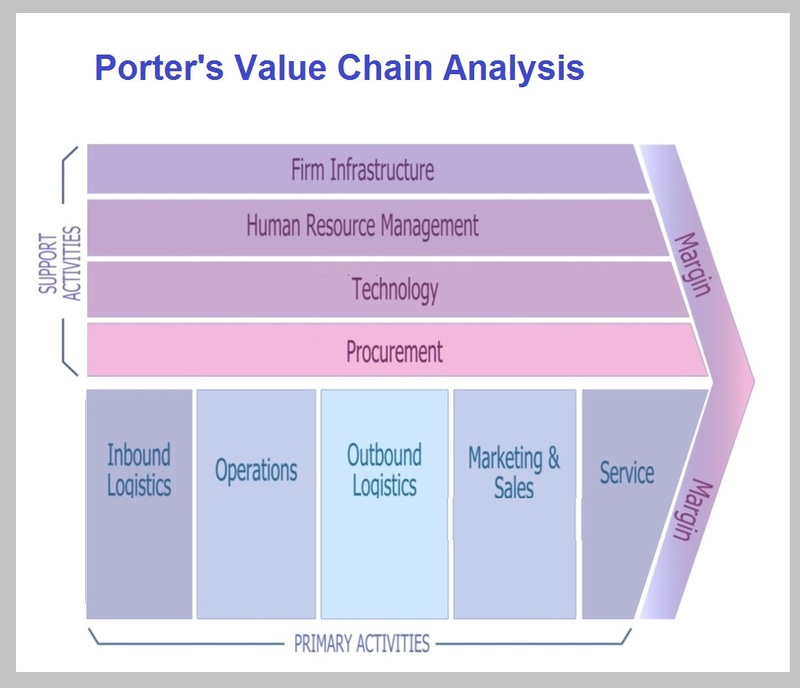 Porters Value Chain – Porter’s Value Chain Analysis – Porters Value Chain Framework – Porters Value Chain Business Methodology – Porters Value Chain model is an approach developed by Michael Porter to complete an internal analysis of a company focusing on its value chain: its primary and secondary activities. Primary activities include logistics, operations, marketing and sales. Secondary activities include infrastructure, human resources, technology and procurement. Understanding all of these business processes helps develop a business strategy for the company and improve its operations. Below sample images are examples of Porters Value Chain used in business management. This entry was posted in Strategy and tagged michael porter strategy, porter framework, porter model, porters value chain, porters value chain analysis, porters value chain approach, porters value chain business, porters value chain chart, porters value chain diagram, porters value chain example, porters value chain examples, porters value chain explained, porters value chain framework, porters value chain methodology, porters value chain sample, porters value chainsamples, value chain, value chain analysis by admin. Bookmark the permalink.